Global Fund support is essential to saving lives and strengthening health systems, particularly in Eastern and Southern Africa, and therefore understanding how countries plan for, receive and invest this support is critical to ensure that such investments achieve the greatest impacts. In-depth analyses of these issues in the region are few. 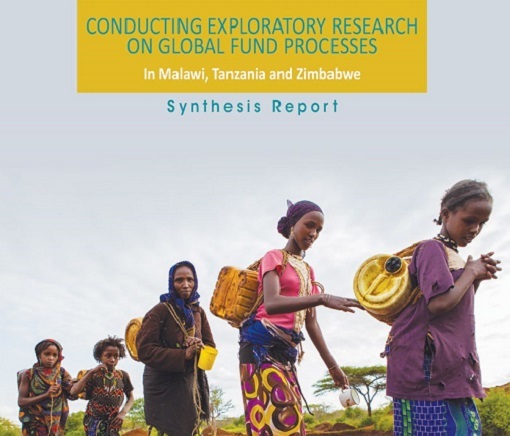 However, a new report recently published by the Health Economics and HIV and AIDS Research Division of the University of Kwazulu-Natal – ‘Conducting Exploratory Research on Global Fund Processes in Malawi, Tanzania and Zimbabwe’ helps to fill this gap. The Foundation selected these countries – Malawi, Tanzania and Zimbabwe- because they are among the top five with the largest Global Fund grants and are also priority countries for the Gates Foundation’s initiatives for improving the impact of HIV programmes in Africa. The case studies highlight where country support is working to help accelerate results and where there may be opportunities for improvement by ‘rethinking’ certain aspects of Global Fund structures and processes. “One of HEARD’s priorities is examining issues of sustainable financing for health programmes, hence it was important for us to conduct this research given the importance of these investments to HIV responses in the region,” said Russell Armstrong, lead author of the report. During 2017, these three countries received some of largest funding GF allocations for HIV programmes, ranging from $300 to $400 million for the 2018-2020 period. Continue reading. This article was written by Arlette Campbell White originally appeared in the Global Fund Observer in December 2018.